About three years ago, Tesla announced an electric car for the mass market at a base price of 35,000 dollars. Now delivery is underway – at least in the USA. Interested parties in Europe will have to wait about half a year. After a lot of expectation, Tesla makes good on its promise: The Tesla Model 3 is now available at a base price of US $35,000 before subsidies. It can now be ordered in the USA and delivered within two to four weeks. According to Elon Musk, the availability of the electric car at this price in Europe will take another six months. For $35,000, the Model 3 features a rear-wheel drive, a range of 220 miles (354 km) according to the realistic US standard of the EPA, a top speed of 130 mph (209 km/h) and an acceleration of 0 to 60 mph in 5.6 seconds. 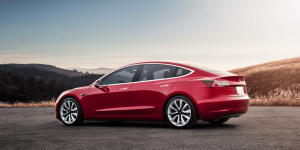 Additionally, for a base price of $37,000, Tesla has introduced the “Standard Range Plus” rear-wheel drive version, which offers an EPA range of 240 miles (386 km), a top speed of 140 mph (225 kph) and 5.3 acceleration from 0-60 mph. 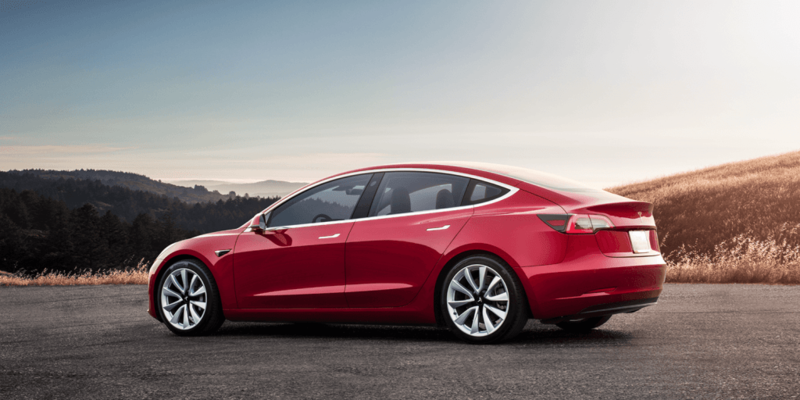 The previously available Model 3 versions with rear-wheel drive and mid-range and long-range batteries are currently available in the USA from $40,000 and $43,000 and offer 264 and 325 miles of EPA range, i.e. 425 and 523 kilometres, respectively. Also still on offer is the twin-engine all-wheel-drive version of the Tesla Model 3 with 310 miles (499 km) range, which is available from $47,000 and $58,000 with a performance package. For the time being, only the all-wheel-drive version with a long-range battery and a WLTP range of 560 km (530 km in the performance version) is still available in Europe, although the price has been reduced from 56,380 to 53,280 euros (according to the configurator for Germany). As always, it should be noted that U.S. prices are net prices. When the “$35,000 version” arrives in Europe in about half a year, the country-specific taxes and import duties must be added. The launch of Tesla Model 3 for $35,000 is accompanied by the announcement of further cost savings: Tesla is moving all its sales online and plans to close many stores in the coming months. The few remaining stores at highly frequented locations will in future only be used as showrooms and information centres. The transfer of all sales to the Internet and other ongoing cost savings will allow all vehicle prices to be reduced by an average of around six per cent and the Model 3 to be offered for $35,000 earlier than expected, Tesla said in their announcement. Model S and Model X are now available at significantly lower prices. The Model S with “maximum range” now starts at 86,980 euros in Germany. So far, this model has cost 109,400 euros in Germany. A new basic model with up to 520 km electrical range according to NEDC has been added. This is available from 81.980 euros. The Model X, on the other hand, is still only available in one version. While customers previously put 115,980 euros on the table for the electric SUV, it is now starting at 91,380 euros in Germany and Austria. Also in the USA, prices have decreased. A Tesla Model S is now available at a strating price of 79,000 dollars, while the Model X now starts at 88k. Performance: 315mi, $99k, 0-60 mph in 3.0s! Performance w/ Ludicrous Mode: 315mi, $114k, 0-60 mph in 2.4s!! Tesla now also makes it easier to try out its electric vehicles and return them, so that no test drive is necessary before the purchase. Customers can now return their vehicle within seven days (or a maximum of 1,000 miles driven) and receive a full refund of the purchase price. Tesla also plans to increase investment in its service system to make it faster and more convenient for customers and promises a series of firmware upgrades to improve the performance and range of its vehicles. The fact that despite the good news, Tesla’s stock has temporarily lost more than three per cent in value is due to a financial announcement by Elon Musk: After two quarters with black figures, Tesla is not expected to make a profit in the 1st quarter of 2019. This is due to special expenses in the current quarter (Tesla currently has to repay a loan of 920 million dollars) and the challenges associated with exporting the Model 3 to Europe and China. However, Musk expects Tesla to return to profitability in Q2. If it´s 20.000 it wont came to my rage with this ridiculous “cockpit”!